On my Twitch stream I planned to show how to migrate a legacy ASP.NET application to ASP.NET Core, to start a completely new ASP.NET Core project and to show some news about the .NET Developer Community. 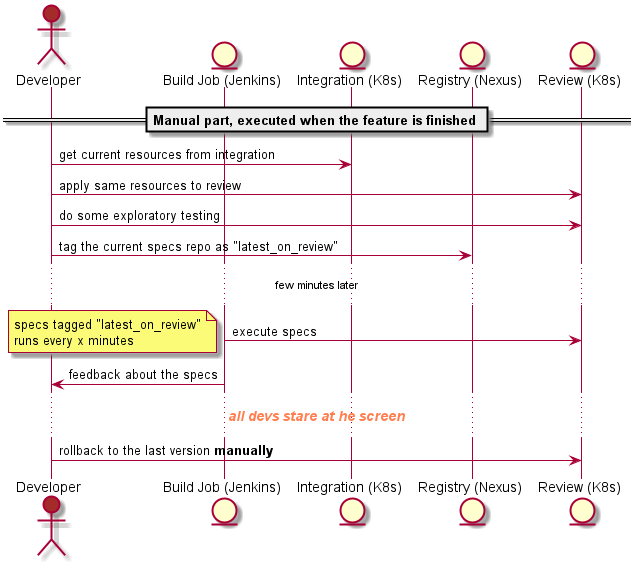 When I did the first stream and introduced the plans to the audience, it somehow turns into the direction to migrate the legacy application. 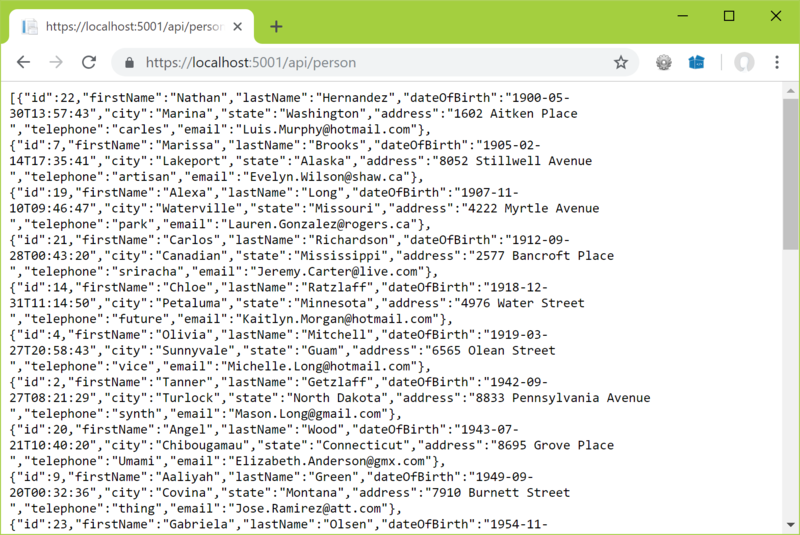 So I chose the old Sharpcms project to show the migration, which is maybe not the best choice because this CMS doesn't use the common ASP.NET patterns. Initially the Sharpcms was built by a Danish developer. Back when he stopped maintaining it, me and my friend Thomas Huber asked him to take over his project and to continue maintaining this project. He said yes and since than we were the main contributors and coordinators of this project. We had huge plans with this project, but as always plans and priorities change with new family members and new jobs. We haven't done anything on that CMS for years. Actually I'm not sure whether this CMS is still used or not. Anyway. This is one of the best CMS systems from my perspective. Easy to setup, lightweight and fast to run and easy to use for users without a technical background. Creating templates for this CMS need a good knowledge of XML and XSLT, because XML is the base of this CMS and XSLT is used for the templates. 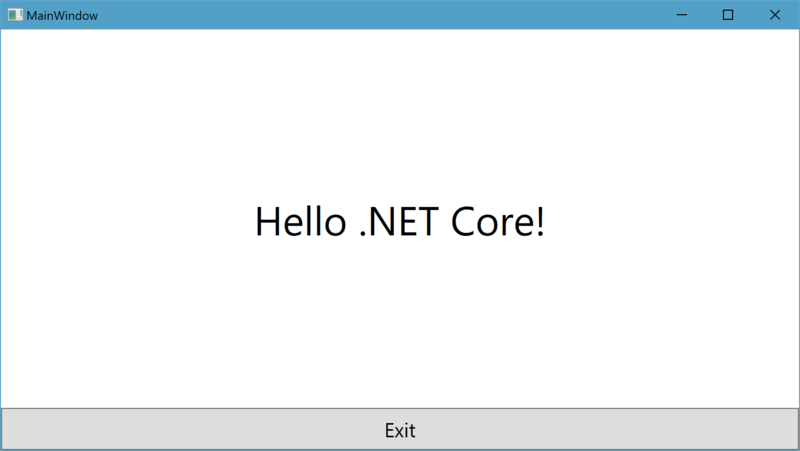 This was super fast with the .NET Framework. Caching wasn't really needed for the sharpcms. In the first show on Twitch I introduced the plans about to migrate the sharpcms and the other one about to start a plain new ASP.NET Core project. It turns out that the audience wanted to see the migration project. I introduced the sharpcms, showed the original sources and started to create .NET Standard libraries to show the difficulties. I wasn't that pessimistic than the audience, cause I still knew that CMS. There where not too much dependencies to the classic ASP.NET and System.Web stuff. And as expected it wasn't that hard. The rendering of the output in the sharpcms is completely based on XML and XSLT. The sharpcms creates a XML structure that get's interpreted and rendered using XSLT templates. XSLT is a XML based programming language that navigates through XML data and crates any output. 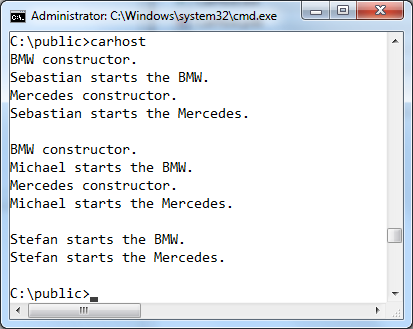 It actually is a programming language, you are able to create decision statements, loops, functions and variables. It is limited, but as well as Razor, ASP or PHP you mix the programming language with the output you wanna create, which makes it easy and intuitive to use. This means there is no rendering logic in the C# codes. 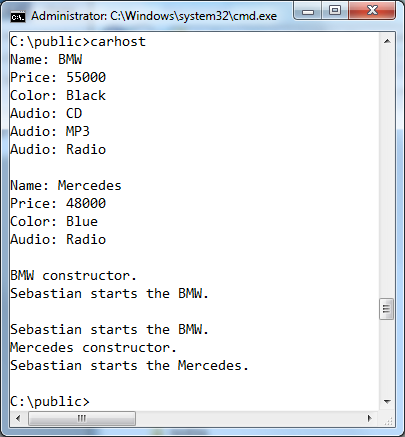 All the C# code does is to work on the request and to create the XML data containing the data to show. At the end it transforms the XML using the XSLT templates. 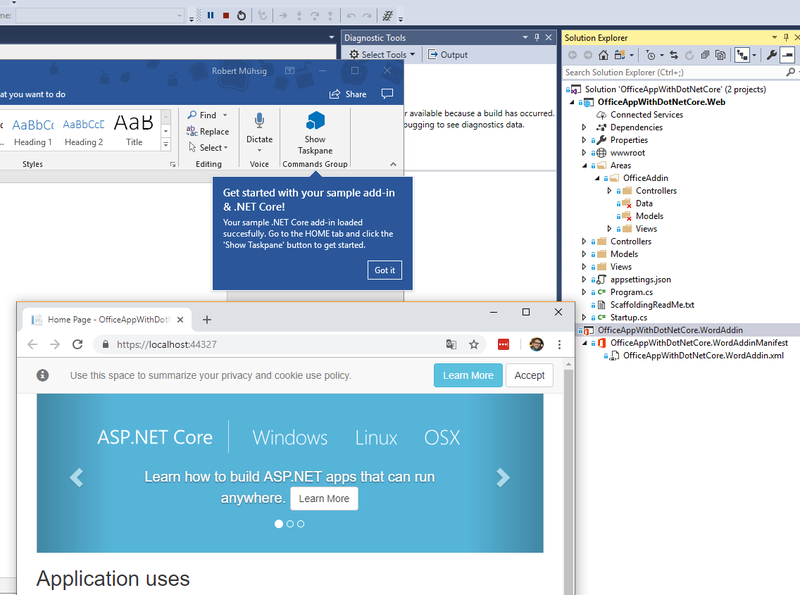 The main work I needed to do to create the Sharpcms running is to wrap the ASP.NET Core request context into a request context that looks similar to the System.Web version that was used inside the Sharpcms. 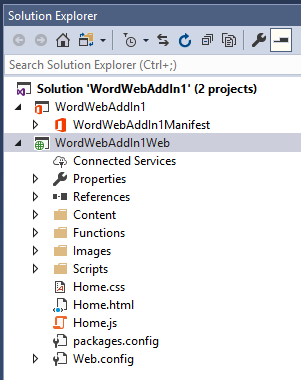 Because it heavily uses the ASP.NET WebForm page object and its properties. The migration strategy was to get it running even if it is kinda hacky and to clean it up later on. Know we are in this state. The old Sharpcms sources are working on ASP.NET Core using .NET Standard libraries. Albert Weinert (a community guy, former MVP and a Twitch streamer as well) told me during the first stream, that XSLT isn't that fast in .NET Core. Unfortunately he was right. The transformation speed and the speed of reading the XML data isn't that fast. We'll need to have a look into the performance and to find a way to speed it up. Maybe to create a alternative view engine to replace the XML and XSLT based view engine somewhen. 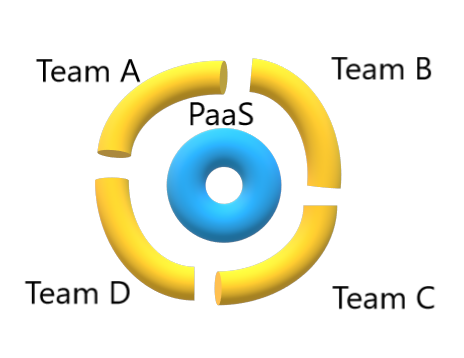 It would also be possible to have multiple view engines. Razor, Handlebars or Liquid would be an option. All of these already have .NET implementations which can be used here. Migrating the old Sharpcms to ASP.NET Core was fun, but it's not yet done. There is a lot more to do. I'll continue working on it on my stream, but will also do some other stuff in the streams. If you like to work on the Sharpcms to help me to solve some issues or to start creating a modern documentation. Feel free. This would help a lot. Create an Issue and I'll discuss it in the stream. Create a PR and I'll discuss and merge it during the stream. Companies/people have finally started to accept that they don’t know what their customer need. They have started to feel that the customer – also the market – has become more and more demanding regarding the quality of the solutions they get. This means that until Skynet is not born (sorry, I couldn’t resist ) we oftware developers, product owners, UX designers, etc. have to decide which solution would be the best to solve the problems in that specific business and we have to decide fast. That’s it, I shared all of my thoughts regarding this subject: your journey of delivering continuously can start or continued ) now. David Tielke: .NET Day Franken 2019 - Inhalte meiner Session "Softwarequaltät"
We have a pretty simple scenario: We have a table with a simple Id + ParentId schema and some demo data in it. I have seen this design quite a lot in the past and in the relational database world this is the obvious choice. Each data entry is really simple to load or manipulate. Just load the target element and change the ParentId for a move action etc.. A more complex problem is how to load a whole “data tree”. Let’s say I want to load all children or parents of a given Id. You could load everything, but if your dataset is large enough, this operation will work poorly and might kill your database. Another naive way would be to query this with code from a client application, but if your “tree” is big enough, it will consume lots of resources, because for each “level” you open a new connection etc. Our goal is to load the data in one go as effective as possible - without using Stored Procedures(!). In the Microsoft SQL Server world we have this handy feature called “common table expresions (CTE)”. A common table expression can be seen as a function inside a SQL statement. This function can be invoked by itself and now we can call this a “recursive common table expression”. The syntax itself is a bit odd, but works well and you can enhance it with JOINs from other tables. The anchor. [Id] = 7 is our starting point and should be given as a SQL parameter. 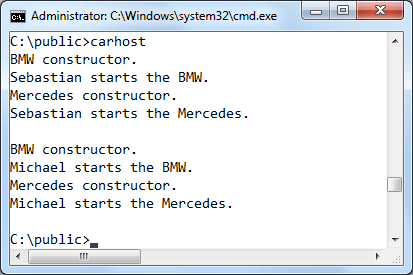 The with statement starts our function description, which we called “RCTE”. In the first select we just load everything from the target element. Note, that we add a “Lvl” property, which starts at 1. The UNION ALL is needed (at least we were not 100% if there are other options). In the next line we are doing a join based on the Id = ParentId schema and we increase the “Lvl” property for each level. The last line inside the common table expression uses the “recursive” feature. Now we are done and can use the CTE like a normal table in our final statement. We now only load the “path” from the child entry up to the root entry. If you ask why we introduce the “lvl” column: With this column it is really easy see each “step” and it might come handy in your client application. With a small change we can do the other way around. Loading all descendants from a given id. In this example we only load all children from a given id. If you point this to the “root”, you will get everything except the “alternative root” entry. Working with trees in a relational database might not “feel” as good as in a document database, but it doesn’t mean, that such scenarios needs to perform bad. We use this code at work for some bigger datasets and it works really well for us. Thanks to my collegue Alex - he discovered this wild T-SQL magic. Nach längerer Pause bin ich jetzt zu Apple Themen auf Twitter umgestiegen. Unter https://twitter.com/DieApfelFamilie könnt ihr mir folgen. This is not bad, but what if I want to be sure that I didn’t break the “platform”, what if I don’t want to disturb everybody else working on the same product because I made some mistakes – but I still want to be a human ergo be able to make mistakes ? This means that my behavioral and structure changes introduced by my commits should be tested before they land on integration. I think, this post is already to long. The next part ( I think, it will be the last one) I would like to write about the last essential method, how to deploy to production, without annoying anybody (no secret here, this is why feature toggles were invented for ) and about some open questions or decisions what we encountered on our journey. Part 1 took a detailed look at binding of composable parts. In an application, however, we sometimes need to selectively break such bindings without deleting the entire container. We will look at interfaces which tell parts whether binding has taken place or whether a part has been deleted completely. For parts, it can be helpful to know when binding has taken place. To achieve this, we implement an interface called IPartImportsSatisfiedNotification. This interface can be implemented in both imports and exports. When the above program is run, after executing container.ComposeParts() (line 14) the method OnImportsSatisfied() of the host will be executed. If this is the first time an export has been accessed, the export will first run the constructor, then its OnImportsSatisfied() method, and finally its StartEngine() method. If we don’t use the Lazy<T> class, the sequence in which the methods are called is somewhat different. In this case, after executing the container.ComposeParts() method, the constructor, and then the OnImportsSatisfied() method will first be executed for all exports. 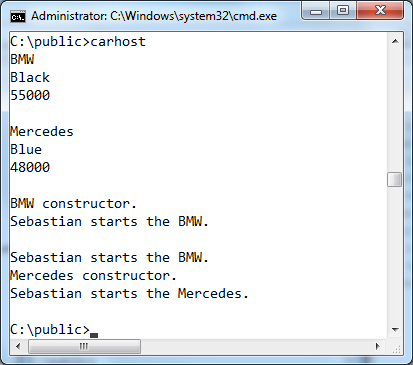 Only then the OnImportsSatisfied() method of the host will be called, and finally the StartEngine() method for all exports. As usual in .NET, the IDisposable interface should also be implemented by exports. Because the Managed Extensibility Framework manages the parts, only the container containing the parts should call Dispose(). If the container calls Dispose(), it also calls the Dispose() method of all of the parts. It is therefore important to call the container’s Dispose() method once the container is no longer required. If the creation policy is defined as NonShared, multiple instances of the same export will be created. These instances will then only be released when the entire container is destroyed by using the Dispose() method. With long-lived applications in particular, this can lead to problems. Consequently, the CompositionContainer class possesses the methods ReleaseExports() and ReleaseExport(). 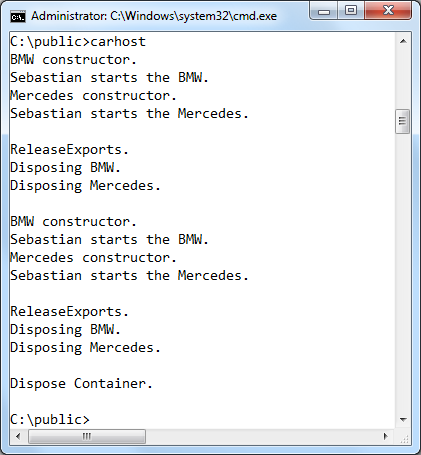 ReleaseExports() destroys all parts, whilst ReleaseExport() releases parts individually. If an export has implemented the IDisposable interface, its Dispose() method is called when you release the export. This allows selected exports to be removed from the container, without having to destroy the entire container. The ReleaseExports() and ReleaseExport() methods can only be used on exports for which the creation policy is set to NonShared. In the following example, the IDisposable interface has been implemented in each export. 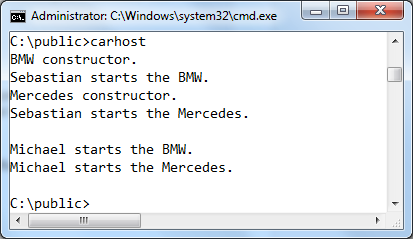 The host first binds all exports to the import. After calling the StartEngine() method, we use the ReleaseExports() method to release all of the exports. After re-binding the exports to the import, this time we remove the exports one by one. Finally, we use the Dispose() method to destroy the container. Das könnte dein neuer Schreibtisch sein Im Sommer 2018 habe ich gemeinsam mit einem Partner die Quality Bytes GmbH in Sinzig am Rhein, gelegen zwischen Bonn und Koblenz, gegründet. Seitdem entwicklen wir in einem Team von vier Entwicklern spannende Lösungen im Web- und Mobile-Umfeld. Wir setzen dabei auf moderne Technologien und Werkzeuge, wie z. 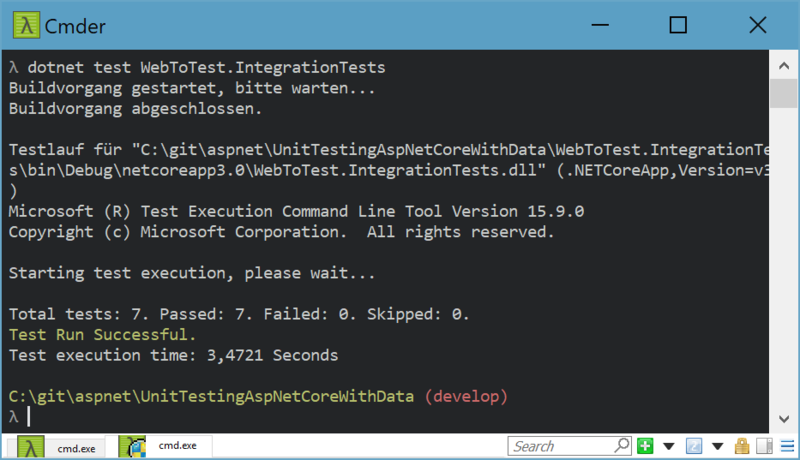 B. ASP.NET Core Angular Xamarin Azure DevOps git Typescript C# Aktuell haben wir mehrere Stellen zu besetzen. Let’s say we want to know the latest result of the “GoogleUpdateTaskMachineCore” task and the corresponding actions. Be aware that the “LastTaskResult” might be displayed as an integer. The full “result code list” documentation only lists the hex value, so you need to convert the number to hex. If you have worked with Powershell in the past this blogpost should “easy”, but it took me a while to see the result code and to check if the action was correct or not. Jürgen Gutsch: Thoughts about repositories and ORMs or why we love rocket science! The last architectural brain dump I did in my blog was more than three years ago. At that time it was my German blog, which was shut down unfortunately. Anyway, this is another brain dump. 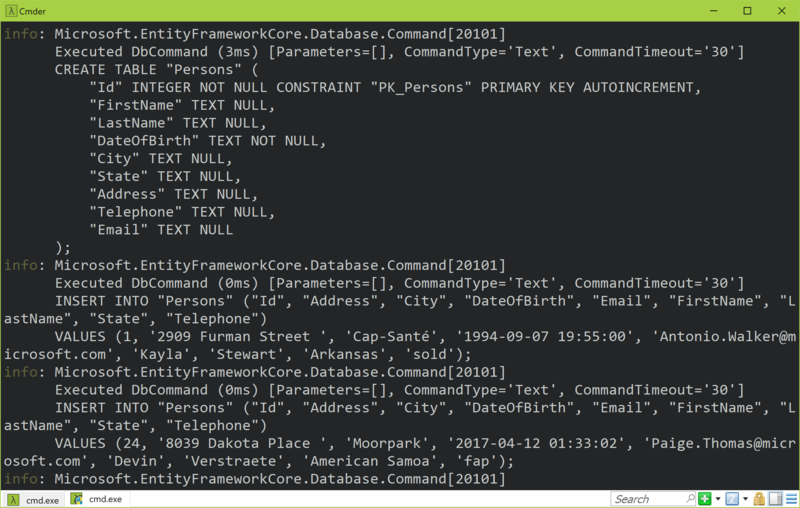 This time I want to write about the sense of the repository pattern in combination with an object relational mapper (ORM) like Entity Framework (EF) Core. A Brain Dump is a blog post where I write down a personal opinion about something. Someone surely has a different opinion and it is absolutely fine. I'm always happy to learn about the different opinions and thoughts. So please tell me afterwards in the comments. My idea is you don't need to use repositories, if you use a unit of work. It is not only my idea, but it makes absolutely sense to me and I also favor not to use repositories in case I use EF or EF Core. There are many reasons. Let us look at them. BTW: One of the leads of the .NET user group Bern was one of the first person who pointed me to this thought many years ago while I was complaining about an early EF version in my old blog. In the classic architecture pattern you had three layers: UI, Business and Data. That made kinda sense in the past, in a world of monolithic applications without an ORM. At that time you wrapped all of the SQL and data mapping stuff into the data layer. The actual work with the data was done in the business layer and the user interacted with the data in the UI. Later this data layers become more and more generic or turned onto repositories. Wait... What is a data layer for, if you already use a ORM? To encapsulate the ORM? Why would you do that? To change the underlaying ORM, if needed? When did you ever changed the ORM and why? These days you don't need to change the ORM in case you change the database. You only need to change the date provider of the ORM. Because the ORM is generic and is able to access various database systems. 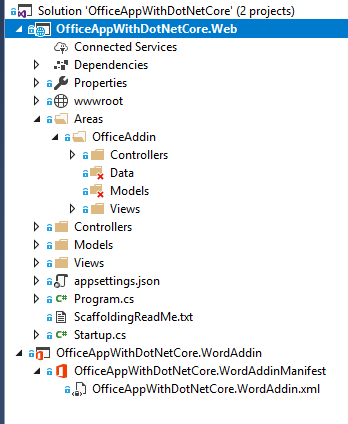 To not have ORM dependencies in the business and UI layers? You'll ship your app including all dependencies anyway. 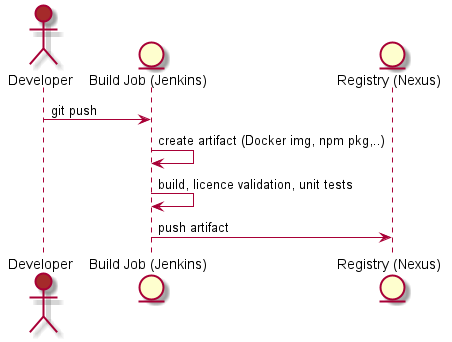 To easier test the business logic in an isolated way, without the ORM? This is anyway possible and you need to test the repositories as well in an isolated way. Just mock the DbContext. Simple to understand, simple to test and simple to maintain. For the most of us, it is hard to create a simple solution, because our brains aren't working that way. That's the crux we have as software developers: We are able to understand complex scenarios, write complex programs, building software for self driving cars, video games and space stations. In reality our job is to make complex things as simple as possible. The most of us do that, by writing business software that helps a lot of people doing their work in an efficient way that saves a lot of time and money. But often we use rocket science, or we use sky scraper technology to just build a tiny house. Why? Because we are developers, we think in a complex way and we really, really love rocket science. But sometimes we should look for a little simpler solution. Don't write code you don't need. Don't create a complex architecture, if you just need a tiny house. Don't use rocket science to build a car. Keep it simple and stupid. Your application just needs to work for the customer. This way you'll save your customers and your own money. You'll save time to make more customers happy. Happy customers also means more money for you and your company in a mid term. I think the SRP principle was confused a little in the past. What kind of responsibilities are we talking about? 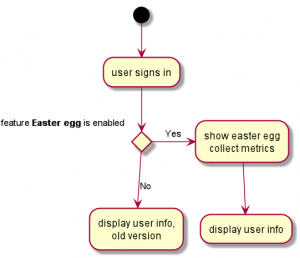 Should a business logic not fetch data or should a product service not create orders? Do you see the point? In my opinion we should split the responsibilities by topic first and later inside the service classes we are able to split on method level by abstraction or what ever we need to separate. 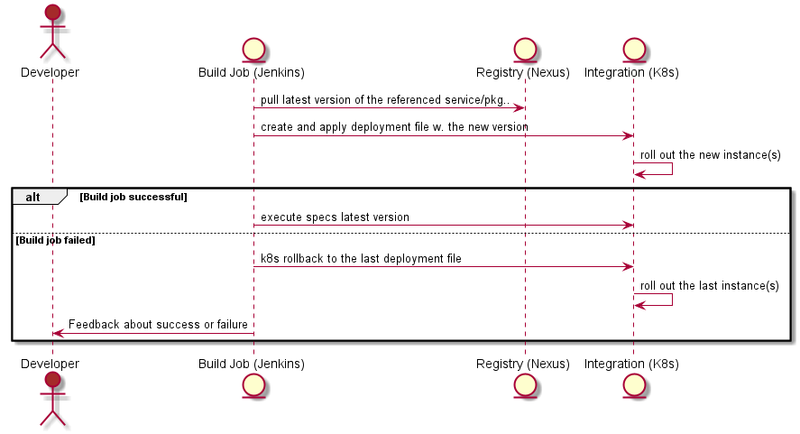 This should keep the dependencies as small as possible and every service is a single isolated module, which is responsible for a specific topic instead of a specific technology or design pattern. BTW: What is a design pattern for? IMO it is needed to classify a peace of code, to talk about it and to get a common language. Don't think in patterns and write patterns. Think about features and write working code instead. Usually the Repositories are much bigger than this small classes, they provide functionality for the default CRUD operations on the object and sometimes some more. I've seen a lot of repositories the last 15 years, some where kind generic or planned to be generic. Most of them are pretty individual depending on the needs of that object to work on. This is so much overhead for such a simple feature. BTW: I remember a Clean Code training I did in Romania for a awesome company which great developers that were highly motivated. I worked with them for years and it was always a pleasure. Anyway. At the end of that training I did a small code kata the everyone should know: The FizzBuzz Kate. It was awesome. This great developers used all the patterns and practices they learned during the training to try to solve that Kata. After an hour they had a not working Enterprise FizzBuzz Application. It was rocket science to just iterate threw a list of numbers. They completely forgot about the most important Clean Code principles KISS and YAGNI. At the end I was the bad trainer, when I wrote the FizzBuzz in just a few lines of code in a single method without any interfaces, factories and repositories. Why not writing the code just like this? This looks clean as well and encapsulates EF pretty well. But why do we really need the AwesomeService in that case? It just calls the repository. It doesn't contain any real logic, but needs to be tested and maintained. I also saw this kind of services a lot the last 15 years. This also doesn't make sense to me anymore. At the end I always end up with the second solution. We don't need to have a three layered architecture, because we had the last 20, 30 or 40 years. It always depends in software architecture. My architectural point of view changed over the last years. I don't look at data objects anymore. If I do architecture, I don't wear the OOP glasses anymore. I try to explore the data flows inside the solution first. Where do the data come from, how do the data transform on the way to the target and where do the data go? I don't think in layers anymore. I try to figure out what is the best way to let the date flow into the right direction. I also try to use the users perspective to find an efficient way for the users as well. I'm looking for the main objects the application is working on. In that case object isn't a .NET object or any .NET Type. It is just a specification. If I'm working on a shopping card, the main object is the order that produces money. This is the object that produces the most of the actions and contains and produces the most of the data. Depending on the size and the kind of the application, I end up using different kind architectural patterns. BTW: Pattern in the sense of idea how to solve the current problem. Not in the sense of patterns I need to use. I'll write about this architectural patterns in a separate blog post soon. Despite what pattern is used, there's no repository anymore. There are services that provide the data in the way I need them in the UI. Sometimes the Services are called Handlers, depending what architectural pattern is used, but they work the same way. Mostly they are completely independent from each other. There's not a thing like a UserService or GroupService, but there's an AuthService or an ProfileService. There is no ProductService, CategoryService or CheckoutService, but an OrderService. Does this make sense to you? What do you think? I know this is a topic that is always discussed in a controversy way. But it shouldn't. But tell me your opinion about that topic. I'm curious about your thoughts and really like to learn more from you. For me it worked quite well this way. I reduced a lot of overhead and a lot of code I need to maintain. With the help of the decorator pattern, new function blocks can be developed on the basis of existing function blocks without overstraining the principle of inheritance. In the following post, I will introduce the use of this pattern using a simple example. The example should calculate the price (GetPrice()) for different pizzas. Even if this example has no direct relation to automation technology, the basic principle of the decorator pattern is described quite well. The pizzas could just as well be replaced by pumps, cylinders or axes. In the example, there are two basic kinds of pizza: American style and Italian style. Each of these basic sorts can have salami, cheese and broccoli as a topping. The most obvious approach could be to place the entire functionality in one function block. Properties determine the ingredients of the pizza, while a method performs the desired calculation. Furthermore, FB_init() is extended in such a way that the ingredients are already defined during the declaration of the instances. Thus different pizza variants can be created quite simply. Actually, it’s a pretty solid solution. But as is so often the case in software development, the requirements change. So the introduction of new pizzas may require additional ingredients. 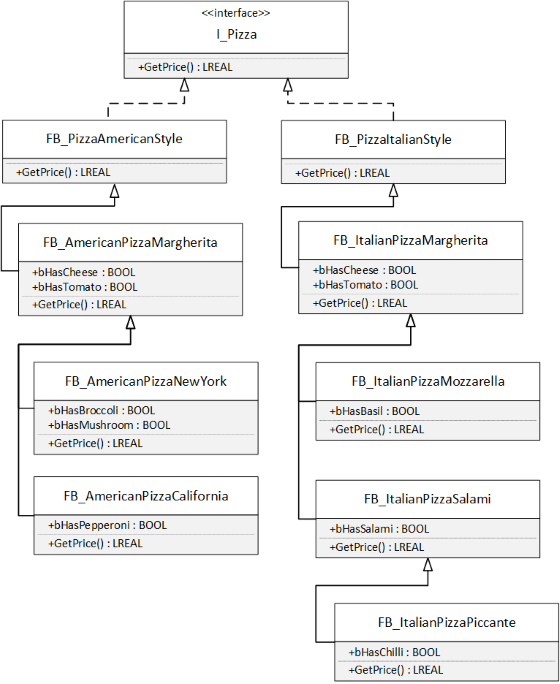 The FB_Pizza function block is constantly growing and so is its complexity. 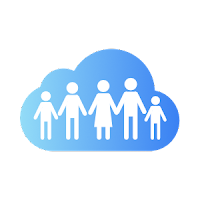 The fact that everything is contained in one function block also makes it difficult to distribute the final development among several people. In the second approach, a separate function block is created for each pizza variant. In addition, an interface (I_Pizza) defines all common properties and methods. Since the price has to be determined for all pizzas, the interface contains the GetPrice() method. 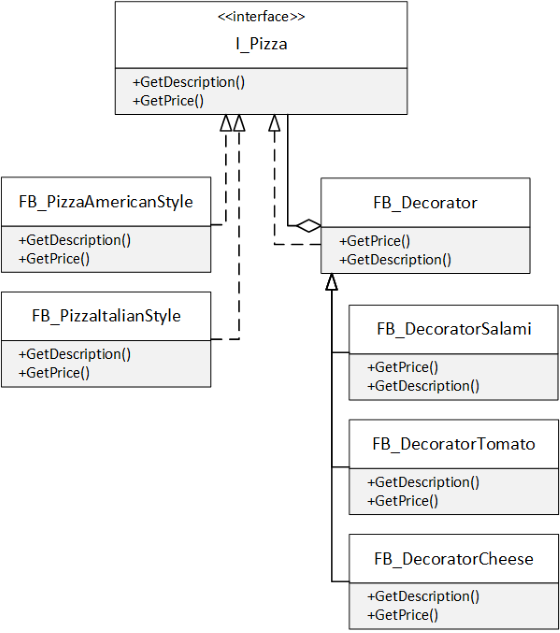 The two function blocks FB_PizzaAmericanStyle and FB_PizzaItalianStyle implement this interface. Thus the function blocks replace the enumeration E_PizzaStyle and are the basis for all further pizzas. The GetPrice() method returns the respective base price for these two FBs. Based on this, different pizzas are defined with the different ingredients. For example, the pizza Margherita has cheese and tomatoes. The salami pizza also needs salami. Thus, the FB inherits for the salami pizza from the FB of the pizza Margherita. The GetPrice() method always uses the super pointer to access the underlying method and adds the amount for its own ingredients, given that they are available. This results in an inheritance hierarchy that reflects the dependencies of the different pizza variants. This solution also looks very elegant at first glance. One advantage is the common interface. 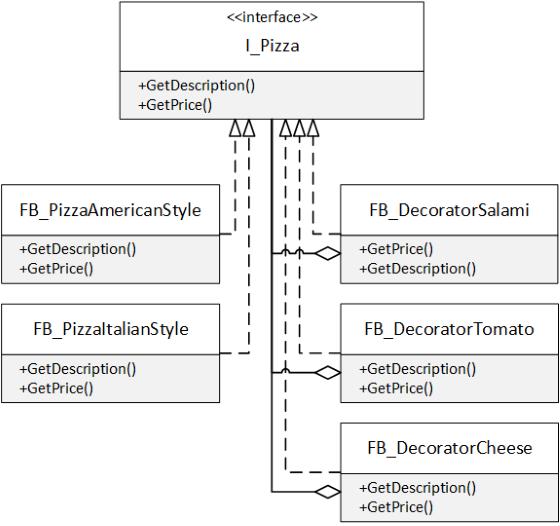 Each instance of one of the function blocks can be assigned to an interface pointer of type I_Pizza. This is helpful, for example, with methods, since each pizza variant can be passed via a parameter of type I_Pizza. Nevertheless, this approach has several disadvantages. What happens if the menu is adjusted and the ingredients of a pizza change as a result? Assuming the salami pizza should also get mushrooms, the pizza Piccante also inherits the mushrooms, although this is not desired. The entire inheritance hierarchy must be adapted. The solution becomes inflexible because of the firm relationship through inheritance. How does the system handle individual customer wishes? For example, double cheese or ingredients that are not actually intended for a particular pizza. If the function blocks are located in a library, these adaptations would be only partially possible. Above all, there is a danger that existing applications compiled with an older version of the library will no longer behave correctly. Some design principles of object-oriented software development are helpful to optimize the solution. Adhering to these principles should help to keep the software structure clean. Open for extensions: This means that the original functionality of a module can be changed by using extension modules. The extension modules only contain the adaptations of the original functionality. Closed for changes: This means that no changes to the module are necessary to extend it. The module provides defined extension points to connect to the extension modules. How are the function blocks divided so that extensions are necessary in as few places as possible? 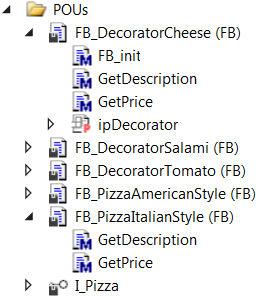 So far, the two basic pizza varieties, American style and Italian style, have been represented by function blocks. So why not also define the ingredients as function blocks? This would enable us to comply with the Open Closed Principle. Our basic varieties and ingredients are constant and therefore closed to change. However, we must ensure that each basic variety can be extended with any number of ingredients. The solution would therefore be open to extensions. 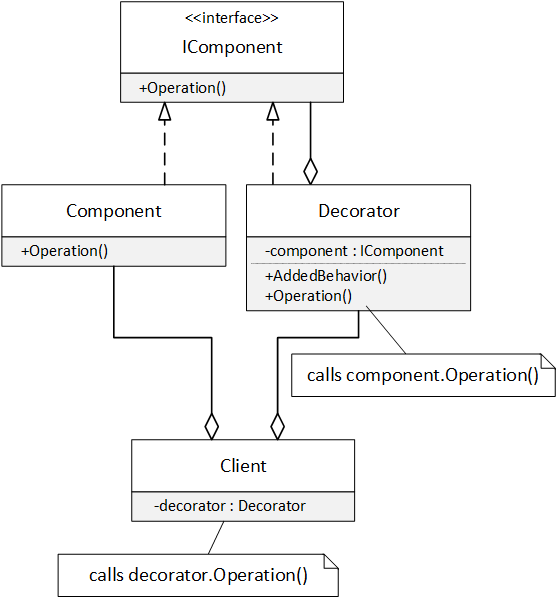 The decorator pattern does not rely on inheritance when behaviour is extended. Rather, each side order can also be understood as a wrapper. This wrapper covers an already existing dish. To make this possible, the side orders also implement the interface I_Pizza. Each side order also contains an interface pointer to the underlying wrapper. The basic pizza type and the side orders are thereby nested into each other. If the GetPrice() method is called from the outer wrapper, it delegates the call to the underlying wrapper and then adds its price. This goes on until the call chain has reached the basic pizza type that returns the base price. 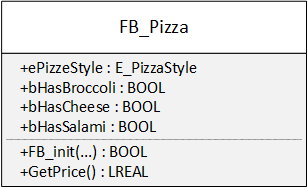 So that the underlying wrapper can be passed to the function block, the method FB_init() is extended by an additional parameter of type I_Pizza. Thus, the desired ingredients are already defined during the declaration of the FB instances. To make it easier to see how the individual wrappers run through, I have provided the GetDescription() method. Each wrapper adds a short description to the existing string. There is no fixed connection between the function blocks. New pizza types can be defined without having to modify existing function blocks. The inheritance hierarchy does not determine the dependencies between the different pizza variants. In addition, the interface pointer can also be passed by property. This makes it possible to combine or change the pizza at run-time. Special features can also be integrated in each function block. These can be additional properties, but also further methods. The function block for the tomatoes is to be offered optionally also as organic tomato. One possibility, of course, is to create a new function block. This is necessary if the existing function block cannot be extended (e.g., because it is in a library). However, if this requirement is known before the first release, it can be directly taken into account. The function block receives an additional parameter in the method FB_init(). This parameter could also be changed at run-time using a property. When the price is calculated, the option is taken into account as required. A further optimization can be the introduction of a basic FB (FB_Decorator) for all decorator FBs. The crucial point with the decorator pattern is that when extending a function block, inheritance is not used. If the behaviour is to be supplemented, function blocks are nested into each other; they are decorated. The central component is the IComponent interface. The functional blocks to be decorated (Component) implement this interface. The function blocks that serve as decorators (Decorator) also implement the IComponent interface. In addition, they also contain a reference (interface pointer component) to another decorator (Decorator) or to the basic function block (Component). The outermost decorator thus represents the basic function block, extended by the functions of the decorators. The method Operation() is passed through all function blocks. Whereby each function block may add any functionalities. The original function block (component) does not know anything about the add-ons (decorator). It is not necessary to extend or adapt it. The decorators are independent of each other and can also be used for other applications. The decorators can be combined with each other at any time. A function block can therefore change its behaviour either by declaration or at run-time. A client that accesses the function block via the IComponent interface can handle a decorated function block in the same way. The client does not have to be adapted; it becomes reusable. The number of function blocks can increase significantly, which makes the integration into an existing library more complex. The client does not recognize whether it is the original base component (if accessed via the IComponent interface) or whether it has been enhanced by decorators. This can be an advantage (see above), but can also lead to problems. The long call sequences make troubleshooting more difficult. The long call sequences can also have a negative effect on the performance of the application. The decorator pattern is very often found in classes that are responsible for editing data streams. This concerns both the Java standard library and the Microsoft .NET framework. 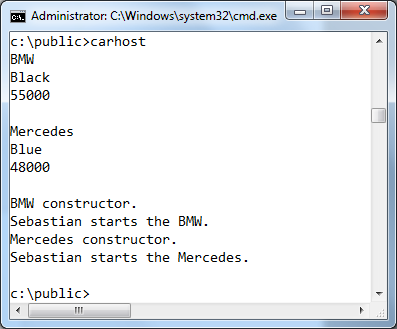 Thus, there is the class System.IO.Stream in the .NET Framework. System.IO.FileStream and System.IO.MemoryStream inherit from this class. Both subclasses also contain an instance of Stream. Many methods and properties of FileStream and MemoryStream access this instance. You can also say: The subclasses FileStream and MemoryStream decorate Stream. Further use cases are libraries for the creation of graphical user interfaces. These include WPF from Microsoft as well as Swing for Java. A text box and a border are nested into each other; the text box is decorated with the border. The border (with the text box) is then passed to the page. Der Beitrag TDD vs. Test-first erschien zuerst auf Refactoring Legacy Code. In this post I'm going to answer this question. 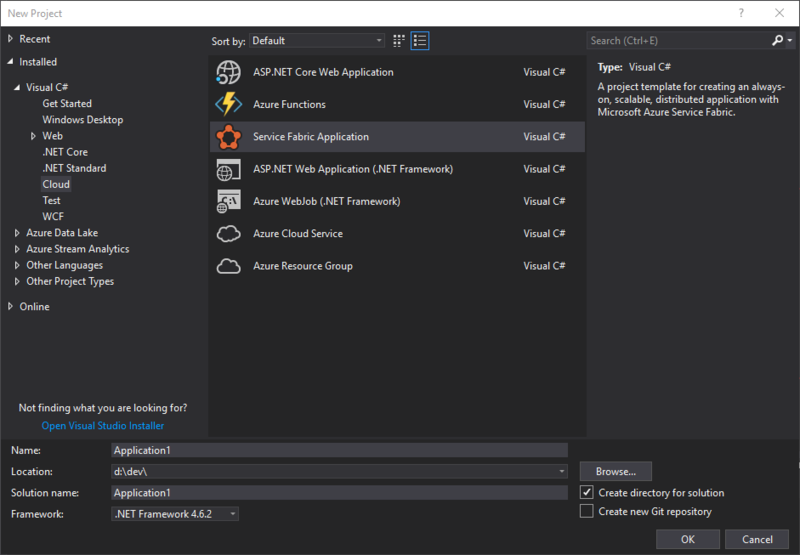 I just realized that this post could be placed between Customizing ASP.NET Core Part 02: Configuration and Customizing ASP.NET Core Part 04: HTTPS. 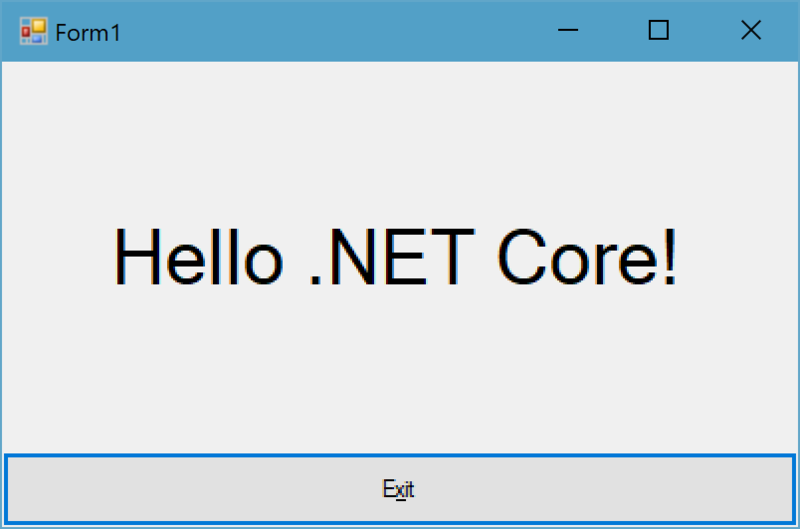 So I made this the eleventh part of the Customiting ASP.NET Core Series. 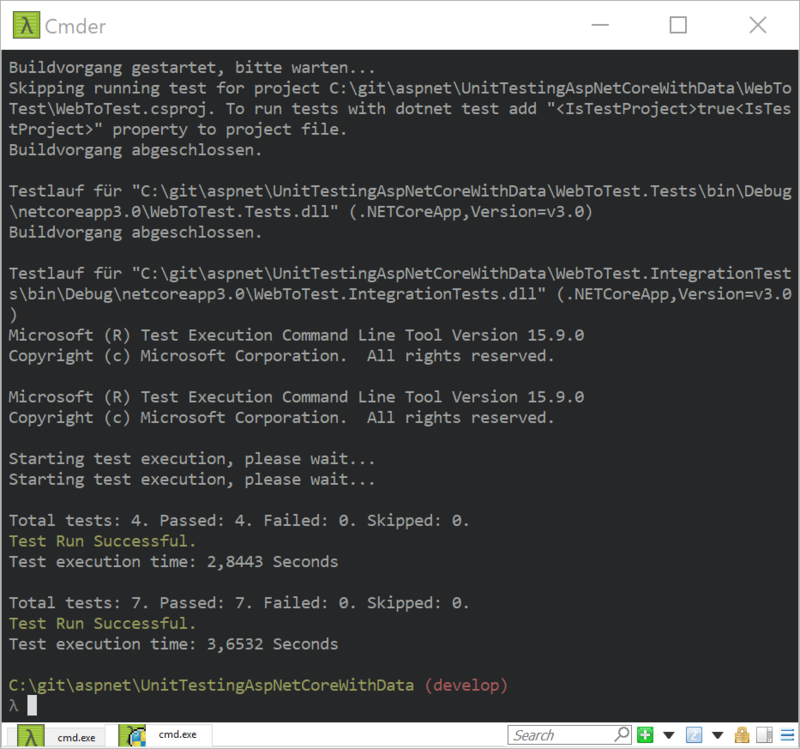 Der Beitrag Unit Tests are your Friends erschien zuerst auf Refactoring Legacy Code. Wie jedes Jahr, nehme ich mir auch für das kommende Jahr wieder einige Ziele vor. Einige davon möchte ich hiermit öffentlich zugänglich machen, einige werden alleine nur für mich (bzw. für einen nicht-öffentlichen Kontext) existieren. Das kommende Jahr wird sich voraussichtlich um die Themen .NET Core, Golang, Container, Serverless und IoT drehen. Es stehen einige große Projekte ins Haus. Hierzu wird viel architekturelle aber auch sicherheitsrelevante Arbeit zu leisten sein. Die Ziele liegen hierbei weniger bei den einzelnen Technologien, sondern vielmehr in der Größenordnung und damit einhergehenden architekturellen und performancetechnischen Herausforderungen. Bewertbares Ziel: Mehr Fachbeiträge hier im Blog als 2018. Ich war 2018 sehr viel unterwegs und es sind tolle Fotos entstanden. Allerdings fand ich nicht die Muse, diese auch online zu präsentieren. 2019 möchte ich mehr in meine Portfolios investieren und sie aufmotzen. Auch soll es wieder meine Reiseberichte geben. Nachdem ich bereits im „Portrait-Modus“ bin, werde ich anschließen und mehr in dieses Thema investieren. Neben der Fotografie möchte ich mich auch mit dem Thema Video mehr beschäftigen. In diesen Bereich fallen viele andere Themen wie Sound, Bearbeitungssoftware usw. Meinen Weg möchte ich dokumentieren und somit einen Einblick in dieses Thema liefern. Auch zum Thema Bildbearbeitung wird es einige Tutorials geben. Dabei werde ich mich mit der Software Luminar auseinandersetzen. Nachdem voriges Jahr einige Aufgaben liegen geblieben sind, möchte ich diese nun 2019 erledigen. D.h. weniger Fotografie auf meiner Website, sondern wieder mehr Softwareentwicklung, IT und Technik. Die Fotografie wird auf meine Website https://norberteder.photography „verdrängt“. Der Umbau hat bereits begonnen. Im Rückblick 2018 habe ich das Ende meines Projektes #fotomontag angekündigt – zumindest auf dieser Website. Es geht weiter, etwas verändert, aber doch. Ebenfalls auf https://norberteder.photography. Nachdem ich voriges Jahr relativ schnell meine ursprüngliches Ziel von 15 Büchern auf 50 angehoben habe, möchte ich dieses Jahr mit einem Ziel von 25 Büchern loslegen. Den Fortschritt könnt ihr auch dieses Jahr wieder auf https://goodreads.com verfolgen. Zum Schluss möchte ich euch ein wunderbares Jahr 2019 wünschen. Viel Gesundheit, Glück, aber auch Erfolg. Der Beitrag Ziele 2019 erschien zuerst auf Norbert Eder. Die Jahren fliegen dahin. Schon wieder ist eines rum. Wie jedes Jahr, möchte ich einen Blick zurück werfen und über die vergangenen 365 Tage nachdenken. Dabei möchte natürlich meine Ziele für 2018 nicht außer Acht lassen und in die Bewertung einfließen lassen. Wie ich es mir vorgenommen habe, beschäftigte ich mich 2018 sehr viel mit .NET Core, Angular und dem Thema Internet of Things (IoT). Zusätzlich habe ich wieder über den Tellerrand geguckt und bei Golang reingeschnuppert. Gerade Golang entwickelt sich bei mir persönlich zu einer beliebten Programmiersprache. Sehr viel Energie ging 2018 in das Thema Docker, Microservices und Orchestrierung. Auch 2018 habe ich es geschafft, jeden Montag ein Foto für mein Projekt #fotomontag zu veröffentlichen. Nach 209 veröffentlichten Fotos in 4 Jahren, geht diese Ära allerdings zu Ende. Dieses Jahr habe ich es endlich geschafft und zahlreiche Portrait-/Model-Shootings gemacht. Dabei konnte ich richtig tolle Erfahrungen sammeln und mich weiterentwickeln. Vielen Dank an dieser Stelle an alle, mit denen ich zusammenwirken konnte. Schlussendlich gab es eine Menge Fotoreisen: Piran/Portoroz, Dubrovnik, Kotor, Nürnberg, Ostsee, Dresden, Budapest und Prag. Wie du siehst, hat sich also wirklich viel getan – mehr als ich mir erhofft bzw. geplant hatte. Für das Blog hatte ich mir mehr vorgenommen. Zwar habe ich einige Artikel ausgemistet und aktualisiert, doch wollte ich wieder viel mehr über Softwareentwicklung bloggen. Durch die Arbeit einerseits und das doch aufwändige Hobby der Fotografie andererseits, blieb einfach zu wenig Zeit, die ich dann doch anderweitig nutzte. Seit diesem Jahr steht die Kommentarfunktion nicht mehr zur Verfügung. Das ist nicht der DSGVO geschuldet, sondern vielmehr der Qualität. Feedback erhalte ich nun über andere Kanäle (E-Mail hauptsächlich) und das qualitativ hochwertiger, da der Aufwand für das Feedback einfach höher ist. Ein herzliches Dankeschön an meine treuen Leser, die mir die Stange halten und auch immer wieder Feedback geben. Seit diesem Jahr verwalte ich meine Bücher über goodreads. Meinen Account hatte ich zwar schon lange, aber das Potential blieb mir lange Zeit verborgen. Nun, seit heuer nutze ich diese Plattform. Für 2018 hatte ich mir vorgenommen, 15 Bücher zu lesen. Tatsächlich wurden es 50 (nicht ausschließlich Fach- bzw. Sachbücher). Insgesamt hielt das Jahr 2018 zahlreiche Herausforderungen bereit. Das war nicht immer leicht, allerdings gab es wieder viel zu lernen – und das ist wichtig und gut. Der Beitrag Rückblick 2018 erschien zuerst auf Norbert Eder. Dieser Teil widmet sich vor allem den Themen Identity Provider, Policies und User attributes. 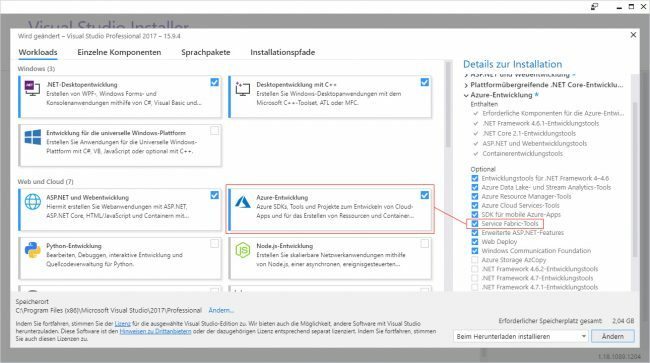 Es ist im Visual Studio Installer die Azure Entwicklung zu aktivieren, ebenso die Service Fabric-Tools. 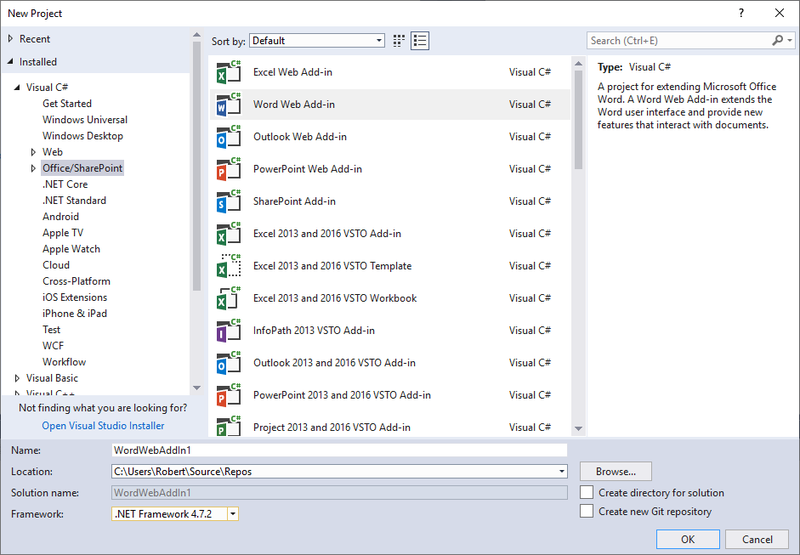 Nach der Installation und des erneuten Startes von Visual Studio 2017 sind die Templates vorhanden. 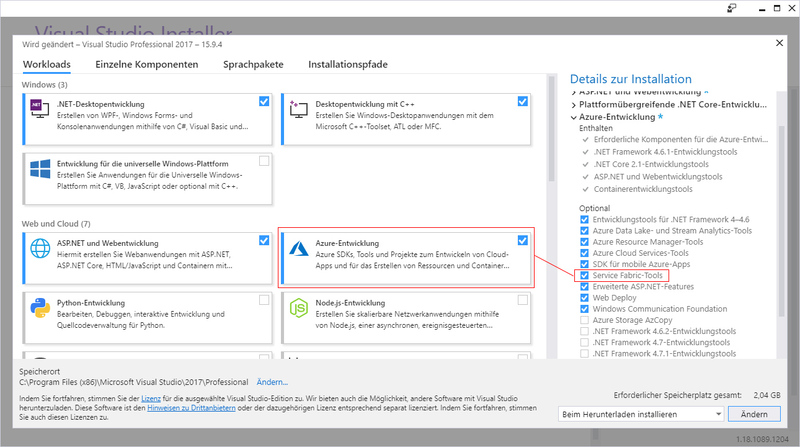 Der Beitrag Visual Studio 2017: Service Fabric Templates werden nicht angezeigt erschien zuerst auf Norbert Eder.